Perfection, by definition, cannot be improved upon. 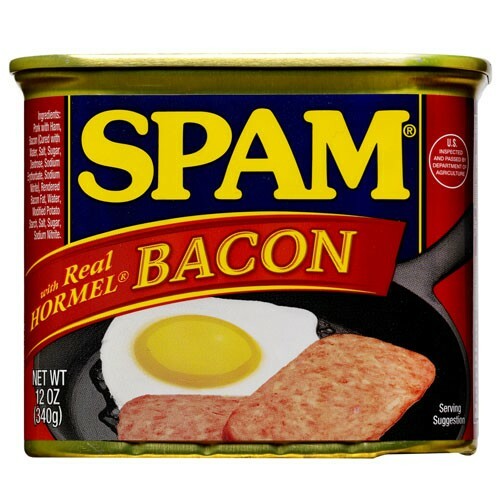 This SPAM® variety is the exception. We married the timeless taste of SPAM® Classic with the irresistible flavor of bacon. Its swine on swine, and thats a scrumptious thing. Try it once and breakfast will never be the same. 12 OZ CAN *ADDITIONAL SHIPPING CHARGES WILL BE ADDED ON ANY FLAVOR. **CANNOT SHIP THIS PRODUCT OUTSIDE OF THE UNITED STATES.